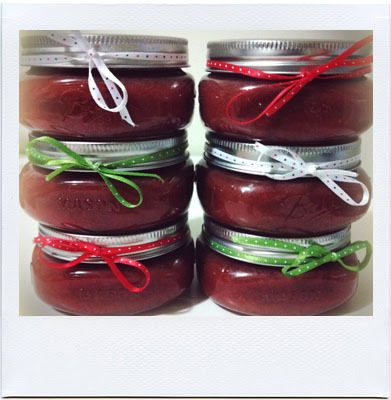 The Salty Girl: strawberry balsamic jam for those without the benefit of a garden or summertime! 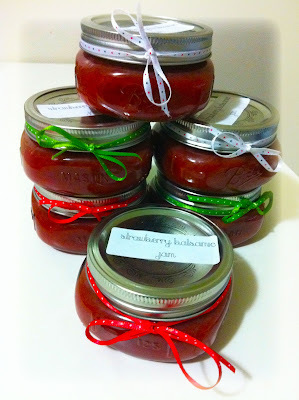 strawberry balsamic jam for those without the benefit of a garden or summertime! I only met my Grandma Taylor one time before she passed away, but she made such an impression on my 9 year old brain that I will never forget her. She was a beautiful, delicate woman. My dad always said that even when she ate potato chips you could not hear a sound coming from her mouth! I remember that she put dots of lotion on her cuticles every night. (I should really do that.) My favorite Grandma Taylor memory was when she cut down all the strawberries in the strawberry patch and made fresh jam. I was in awe. 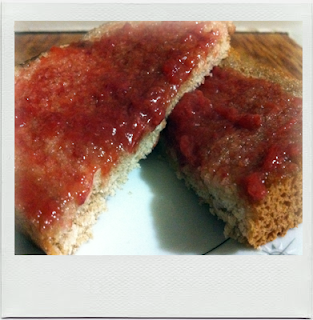 I had no idea you could make strawberry jam from scratch, and it was so delicious. Someday I swear I'll have my own home and a garden full of strawberries and kale and other delicious items. 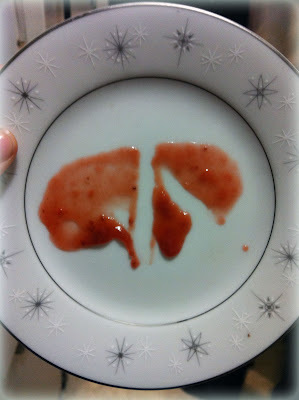 Until then, I've learned how to make jam from frozen berries that are out of season. And it's delicious. I add a tablespoon of balsamic vinegar, and it doesn't sound like that would be good with strawberry jam, but let me tell you, this might be the best thing I've ever made! strawberry balsamic jam on wheat toast with browned butter! I think my friends and family are going to love these little gems! i'm good at making jam, but not so good at making bows. Using frozen berries to make jam is really easy, and because frozen berries are picked at their peak ripeness and flash frozen, they also taste really good. 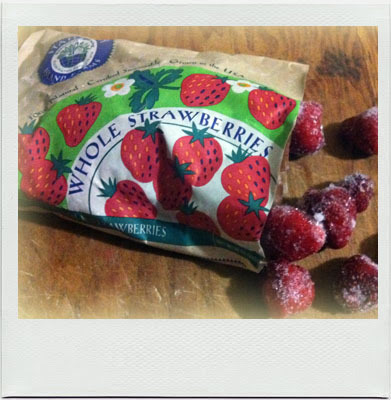 To use frozen berries in place of fresh, just cook your berries a little longer to evaporate some of the water. That way you don't end up with a watery jam! People rarely can anymore. I am going to tell you a secret. We always drank out of Mason jars when I was a kid, and I thought that was their only use - drinking icy cold Coca-Cola or sweet tea. I didn't know they were actually jars for canning! There are two types of canning - pressure canning and water bath canning. For high acidity items like ketchup, jam, and tomato sauce, water bath canning works great. For items that have neutral acidity, like green beans in water, or canned tuna, you must pressure can them. I've never done pressure canning. Jams last up to a year on the shelf. Once they are opened, they last in the refrigerator for a month. If you have any questions or concerns about canning, I'd search the National Center for Home Food Preservation's website. Not so bad right? Here are four things you should know about water bath canning. One, you don't need the fancy canning equipment you find in canning stores. All you need is a (1) large pot that can cover the top your cans to over 3 inches of water, (2) a hand towel to lay in the bottom of your pot so that the cans don't clank together, and (3) tongs. Two, you can only use the lids with the rubber on them once. After you use them once, they won't seal again. But you can reuse the lids that screw on, as well as the jars. Or you can use the jars to drink out of like we do in the South. 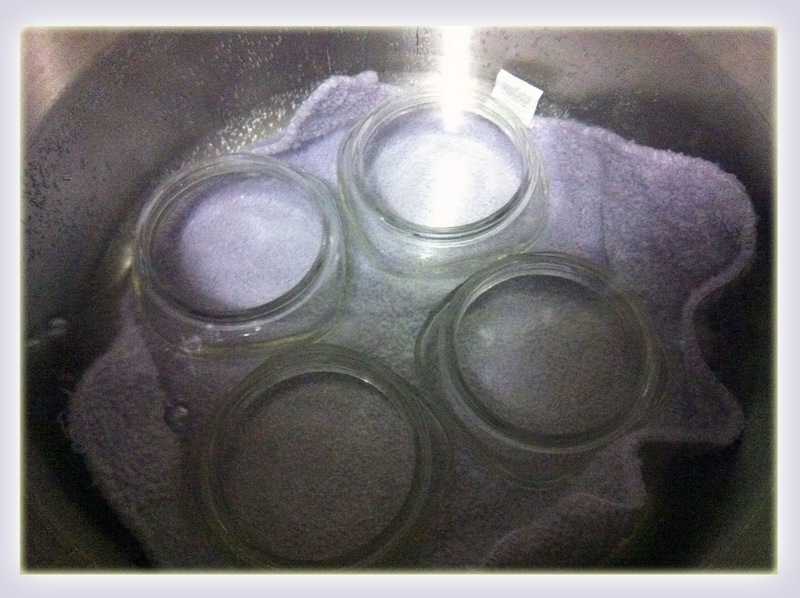 Three, you always need to soak your rubber lids and jars in hot water before using. While they are drying, you can make your jam. Last, due to the acidity level issue, you can't just use any recipe you want. Make sure it's a recipe that is safe for canning. see, you put a towel in the bottom of the pot so the jars are protected. Now that we have the basics of canning down, let's make some strawberry balsamic jam! Here's what you need. Minus the strawberries, which I already pictured! 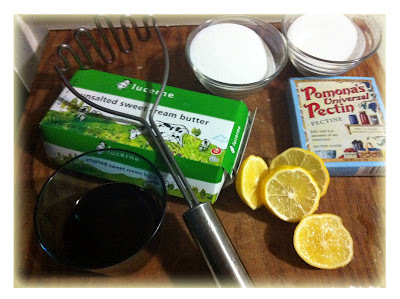 Balsamic vinegar, sugar, butter, pectin, and lemons. A masher is also helpful in breaking down the berries. Soak your lids and jars in hot water. While they are drying, ddd berries, lemon, sugar and balsamic to a stockpot. 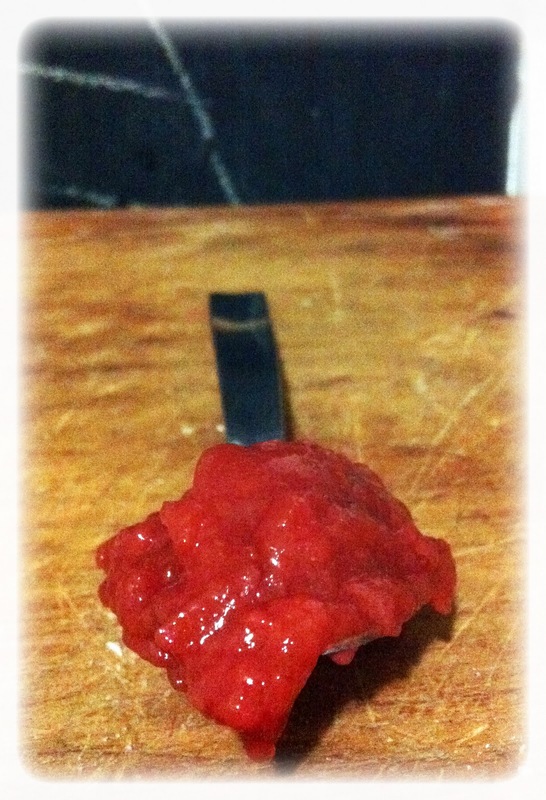 Let it sit and macerate for 20 minutes. Heat the berries over medium heat and add the butter and pectin. Mash and stir until the berries are very gel like, or 220 degrees on a candy thermometer. You can tell the jam is done when you smear a bit on a cold plate and you run your finger through it and it's like jam (see picture below). When the jam is done cooking, fill your jars with jam. Wipe the edges. Place the lids on top and then carefully sit them in your boiling hot water. Boil the jars for 15 minutes. Remove and check the lids to make sure they've indented. If they didn't seal, they won't have indented lids. Also, you can hear them when they seal sometimes. There's a little ping! and you know you did it right. If the lids haven't sealed, all is not lost. Just keep it in the refrigerator and use it within a month. Otherwise, if your jars have sealed, they are shelf safe for a year, and good for one month once you open them. Hooray! You wish you were on my gift list, don't you!? If you are reading this blog, you probably are! Hahah.